Every week in our music classes at Meryl's Music and Arts, babies, toddlers, preschoolers, and the grownups who love them come together to play musically. Little ones love playing along in class, and caregivers love being a part of their children’s growth into confident music-makers. And everyone loves our songs that’ll have you tapping along in no time. 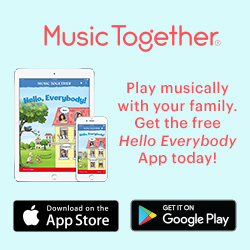 Music Together is the perfect family activity in Plymouth, Sandwich, Pocasset, Harwich and Eastham! Here at Meryl's Music and Arts, we’ve created a warm environment that supports your baby’s natural musicality—and her overall development. In our music classes for babies, you’ll learn lots of ways to interact musically with your infant. And as you sing, laugh, and learn together, you’ll bond with your child and the other parents in your class. Watch your baby’s eyes light up during a Music Together class in Plymouth, Sandwich, Pocasset, Harwich or Eastham! 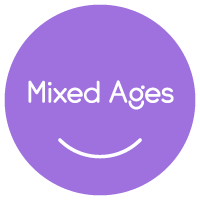 While we are not offering "babies only" classes at this time, we encourage you to try out a mixed ages class near you!